According to Aztec myth, at the beginning of this world, darkness covered the earth. The gods gathered at a sacred place and made a fire. 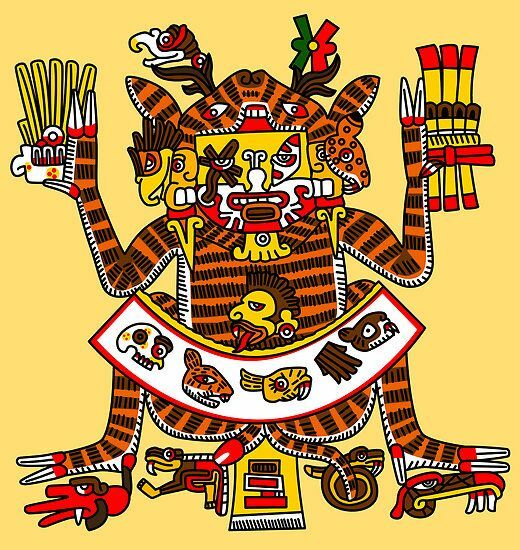 Nanahuatzin, one of the gods, leaped into the fire and came out as the sun. However, before he could begin to move through the sky, the other gods had to give the sun their blood. This was one of several myths relating how the gods sacrificed themselves to set the world in motion. Through bloodletting and human sacrifice people imitated the sacrifices made by the gods—and kept the sun alive by feeding it with blood.